July Date For Australia-Japan Free Trade Deal? Reports suggest that the two countries are nearing an agreement. Two down, one to go. After setting an ambitious one-year timeframe for deals with major trading partners, Australian Prime Minister Tony Abbott could have an agreement signed with Japan within months following the recent pact with South Korea, leaving China to follow, according to media reports. On Tuesday, The Australian reported that seven years of extensive negotiations could be concluded in July, with the planned visit of Japanese Prime Minister Shinzo Abe to sign a free trade agreement (FTA) in Canberra. The visit would mark the second-time prime minister’s first official trip to Australia since the 2007 APEC summit, with Abe set to become the first Japanese leader to address the Australian parliament. Two-way trade between Australia and its top trading partner China totalled A$125 billion in fiscal 2012, compared to A$71 billion traded with second-ranked Japan and the A$32 billion with fourth-largest trading partner South Korea. 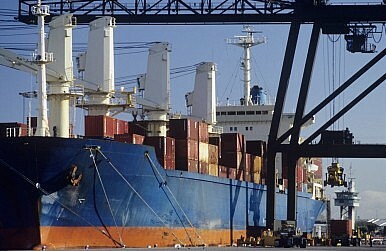 Australia signed an FTA with the United States in 2004, with two-way trade currently around A$60 billion. In December 2013, Australia and South Korea reached agreement on an FTA deal after four years of negotiations, forecasting a A$5 billion economic boost by 2030. The agreement eliminated tariffs of up to 300 percent on Australian agricultural exports such as beef, dairy, sugar and wheat but excluded rice, while removing a 5 percent tariff on Korean car imports, amid other benefits. Talks with China on a FTA deal were launched in April 2005, two years before the start of negotiations with Japan, but recent commentary on both sides has suggested an agreement remains distant. In November, Australia’s Foreign Minister Julie Bishop was rapped by Beijing for “expressing concern” over China’s air defense zone over islands claimed by Japan, while Bishop has also drawn criticism at home over an alleged “U.S.-centric” approach. However, after speculation of a pending agreement in 2013, the Australia-Japan FTA expected this year could be “at least as comprehensive as the one struck last month with South Korea, but with rice and wheat exports as possible carve-outs,” The Australian said. Japanese media has reported that Tokyo may cut tariffs on Australian beef imports to 30 percent from 38.5 percent, demanding Australia eliminate its 5 percent tariff on auto imports to match its South Korean deal. Australia runs a healthy trade surplus with Japan, largely based on minerals, energy and agricultural exports, while Japan is expected to benefit from increased auto exports. METI official Yasunori Nakayama described the deal as “a very strategic agreement,” stressing that it “surpasses mere economic values” in further cementing ties between the two U.S. allies in the Asia-Pacific region. Japan has A$61 billion invested Down Under compared to Australia’s A$220 million in Japan, and the agreement is expected to match the South Korean deal by exempting investments under A$1 billion from official review. A 2006 joint study estimated an Australia-Japan FTA would deliver A$68 billion to Japanese consumers and A$19 billion to Australians over a 20-year period, with estimated GDP gains of up to 1.79 percent for Australia and 0.13 percent for Japan. Yet despite the predicted July deal, Tokyo sources suggested Japanese Prime Minister Shinzo Abe’s planned visit to Australia could yet be delayed due to Diet manoeuvrings. “Abe is committed to travelling, but a potential extension of the Diet session by another month would affect the timetable,” the sources said. Abe is also scheduled to arrive in Brisbane for the Group of 20 summit meeting in November. While the sources said the recent Korea deal “won’t change the nature of negotiations between Australia and Japan,” the Japan FTA would likely be the next in line. “The process is quite a complicated one, but we’d like to think we’re getting closer to a resolution. The TPP [Trans-Pacific Partnership] is a key leverage point and given that it wasn’t concluded by the end of 2013 as many were expecting, this has given impetus to the Australia-Japan FTA negotiations,” the sources said. Melanie Brock, chair of the Australian and New Zealand Chamber of Commerce in Japan (ANZCCJ), told The Diplomat that the agreement would signify stronger ties across business, education, security and defence, potentially opening up new areas of cooperation between the two nations. “Once the FTA is completed and concluded, more business opportunities could be borne out in areas such as increased joint ventures and technology transfer, medical care and pharmaceuticals, along with the services sector and agriculture,” she said. Brock cited the 2020 Tokyo Olympics, the 2019 Rugby World Cup, the “Cool Japan” campaign and increased inbound tourism as other factors helping put the nation back on the international map. “Everybody’s hoping that we can move onto that next stage of increased opportunities and Japan finds its vigor again,” she said. For Abe, a deal with his conservative counterpart could help overcome stumbling blocks to reform at home, potentially facilitating the more problematic TPP, while Australia could gain a valuable export boost at a time of faltering growth in China. Achieving a deal with the communist colossus by October might prove more challenging, however. The scope, pace and intent of recent agreements suggest an intent to circumvent Beijing.